The Fest started in 1974 as the brainchild of a New York-born, New Jersey-raised Beatles fan – Mark Lapidos. In 1974 he was a 26-year-old manager of a Sam Goody record store in NYC. He was a Beatles devotee and he simply wanted to celebrate the 10th anniversary of the year in which the Beatles first came to America. 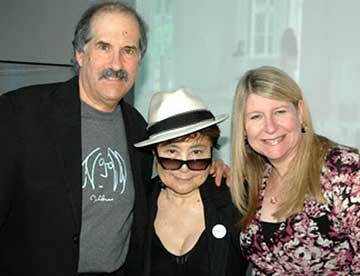 So he decided to create a weekend convention in Manhattan for fellow Beatles fans. Though he’d never produced such an event before – Mark took the plunge and booked all the convention halls at the Commodore Hotel in New York City for a weekend in early September. He was also very keen to get the blessing of the Beatles for the event. The fates were kind. 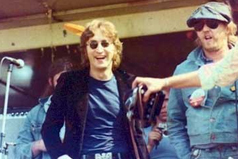 On Sunday April 28th 1974 he went to a March of Dimes Walkathon in New York’s Central Park that John Lennon was attending with his friend Harry Nilsson (video below). 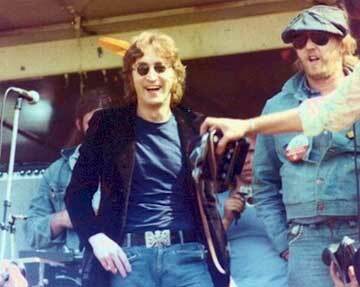 Having started with the enthusiastic support of John Lennon, the first Fest was held in New York City in September 1974. It was a raging success. 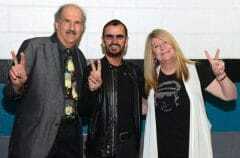 Over 8,000 Beatles devotees attended. It was blessed by all four Beatles – who all donated musical instruments to be auctioned for charity. Rolling Stone saluted the event with a front cover story. After that success, it was only natural that the Fest continue. Within a couple of years the Fest had become an integral part of the Beatles fan experience in America. Fests took place in several major cities in the US – with annual Fests recurring in key regions. In 1975, Mark invited his new girlfriend Carol to that year’s Fest. By 1976, Mark and Carol were married and they have produced every Fest together ever since. 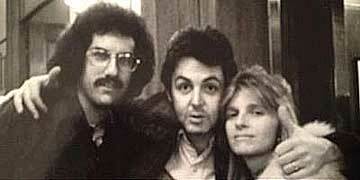 Shortly before they were married, they met up with Paul & Linda McCartney in Paris. Paul was well aware of The Fest by then – having first heard about it from John – who had secured Paul’s support for the first convention in 1974. (Paul joined John, George and Ringo in donating a musical instrument for that year’s charity auction). A few months later, Mark met up with George in Los Angeles and received George’s enthusiastic blessing for the first West Coast Fest that took place in November of that year. 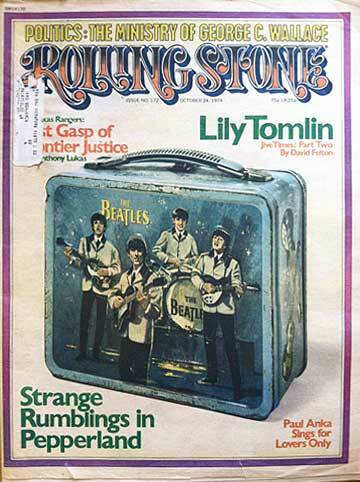 Most remarkably, even from the very start, the Fest attracted not just first-generation Beatles lovers who had enjoyed the Beatles in the 1960s – but also younger fans who were just discovering the band. That phenomenon has continued. Now the Fest is attended by several generations of Beatles lovers – with the fastest-growing demographic being attendees in their teens and twenties. The Fest’s History section will present an ever-growing gallery of artifacts and recollections about the rich four-decade history of the Fest. From the first Fest in 1974 to the present day.